Seattle Opera Blog: Thank You for Voting! 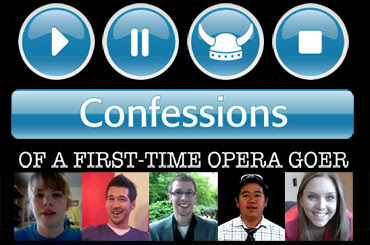 The voting period for the host of "Confessions of a First-time Operagoer" is now closed. Thank you to everyone who voted (over 6,500 votes!). Check back tomorrow, June 6, when we announce the winner right here on the blog! Over 4000 of those votes were from scripts. True story. Yep.. the whole voting process was a sham. But it looks like Seattle Opera is going to be happy with not even awknowledging the problem. Cassidy won because she cheated, and Seattle Opera can't do anything about it because they didn't pay for the premium version of polldaddy which allows the screening of IPs. The whole process was an EPIC FAIL. Thanks for nothing Seattle Opera.. you can't even step up and admit there was a problem with a voting.. instead you insist there were over 6000 votes without even recognizing how many were fake. That said, all of the others who have much to offer, and may well add to the show's stated goals should be allowed a recount. I didn't think this was a talent scout for broadcasters. Maybe they can let the runners-up attend the dress rehearsals, go to the artist reception, etc. I think Seattle Opera will know Cassidy cheated. It's obvious who the winner was, Cassidy just got too many votes in a short amount of time and it's quite obvious who the winner really was. Hopefully Seattle Opera will too. It was a fair vote and a great campaign for Cassidy. I know that each of her votes were honest ones. I am her neighbor and voted along with all my Opera friends, people at my church, her school and the rest of our neighborhood I asked of to review the audition tapes, vote and pass it on to their friends to also vote and pass it on, too. Cassidy is very talented, knowledgeable and has a warm friendly personality and I know she will do a wonderful job for the Opera. Bitter little faggots crying over spilt milk are one of the reasons why people dislike opera and the arts so much in the first place ... Colton. Hopefully, Seattle Opera will implement your suggestion of letting the other four candidates participate in all the other activities Cassidy participates, with Cassidy still being the one MC. Re: Fair elections; if you think this one was unfair, you MAY be right, but think back to the Presidential election in 2000!! Are elections fair?? That's almost as believable as the plot of "Trovatore"!! -- A skeptic who live ,ost of the year in what was formerly the "German Democratic Republic"
I did not proofread it before sending it, thus the garbled monicker; it should be "A skeptic, who lives most of the year in what was formerly the German Democratic Republic" (where people know about the "fairness" of "elections"! Did you decide to implement Felicia Mehl's great "fair-to-all" suggestion that the other contestants be allowed to participatein all the other, HIGHLY EDUCATIVE(!!) activities that Cassidy can experience, while still letting Cassidy be the sole "MC" (I think she wants to do similar work professionally)?? Please put an answer to this question ("can the others participate in the other educational activities along with Ms. Cassidy?")?? Again, I failed to proofread before "sending"! The last Blog should have ended asking you to please put your answer to the question under this blog as a "comment". You have not yet answered my serious question: Will the other participants in the election also be able to learn from the various activites as Ms. Cassidy? Hopefully, yes!! Hallo, SG and other SO staffers! I'm still waiting for an answer!! Hallo, again, you SeaOp Edpeople! You still haven't answered my question. PLEASE add your answer to the "comments" on this particular blog!!!!! Ola, Seattle Opera Education People!! Do you read and heed the comments on your blog??? Then please, ENDLICH, heed my repeated request (and Ms. Mwehl's suggestion) that the other "contestants" i the "election" Ms. Cassidy won also have the chance to learn (you ARE "Education People" aren't you??) from the activities Ms. Cassidy is learning from (five people can fit into almost the same space as one, since, I suspect, none of the five is the size of Fafner in the form of a dragon. So PLEASE answer my question in THIS comments section of your OTHERwise excellent blogsite: Are they getting this educational experience??? If not, you can still bring them up to speed. Remember, your goal SHOULD be:EDUCATION!!!!!!! !